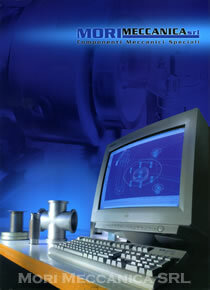 The company MORI Mechanical was founded in 1977 by John Moors on the basis of proved experience and applications created in the field of precision mechanics. The initial activity was mainly machine shop, lathes and freseria. Today MORI MECHANICAL is engaged in the production of special mechanical components, continuously collaborating with world leading companies in the food industry, pharmaceutical, physical / scientific research and application of technology in vacuum and high vacuum.